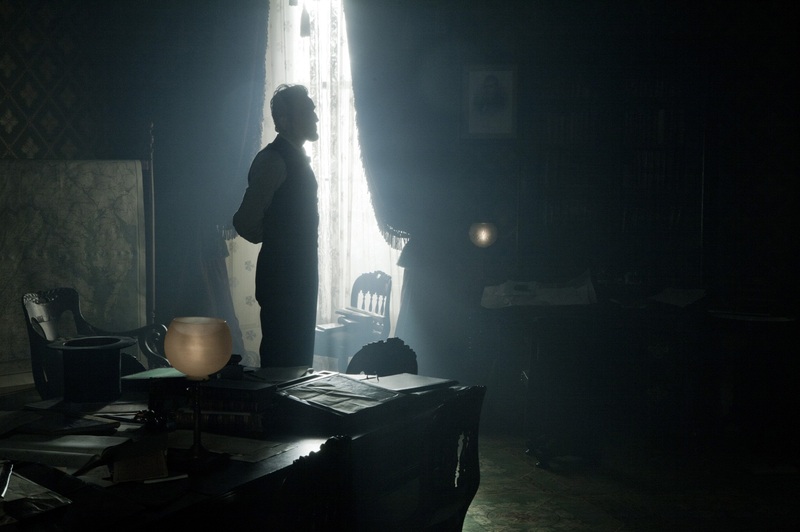 Abraham Lincoln…in Spielberg’s perfect light. Steven Spielberg is a director/producer clothed in immense power. He has carte blanche to do whatever his heart desires in Hollywood after years of pleasing audiences. Sometimes his whims and faults get the better of him – as lame attempts to resurrect past haunts (Indiana Jones and the Kingdom of the Crystal Skull) or return to childhood wonder (The Adventures of Tin Tin) often are rendered mute in artifice and strained sentiment. Yet, when left to his own devices in pursuit of his most sincere ambitions, once in a blue moon, Spielberg is able to pull a rabbit out of his magician’s hat. He did it with Schindler’s List. And he has done it again here with Lincoln – perhaps the crowning achievement of his career and the greatest American film since Paul Thomas Anderson’s There Will Be Blood. 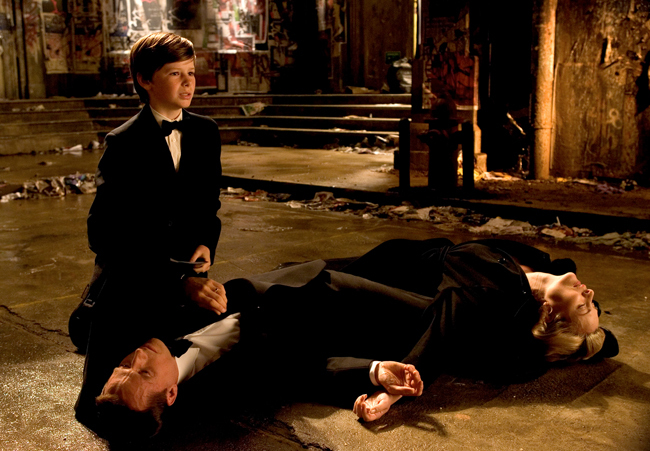 And thus Bruce Wayne’s fate was set from the start. When I think about my favorite genres of film I turn to noir, crime dramas and psychological thrillers. My least favorite genres of film would probably be musicals, romantic comedies and comic book movies. Hence, back in 2005, when one of my favorite up-and-coming purveyors of my favorite types of film decided to take on a reboot of a comic book movie franchise, my faith was tested. Not even I could predict then that Christopher Nolan would pull off the unexpected. He took the most obvious and surface level of modern archetypal stories and used its trappings as a vehicle to tap into a cultural zeitgeist and to provide commentary on our contemporary war against global terrorism. Danish director Susanne Bier allows her work to speak for itself...if you would just take the time to watch and listen. Interconnected stories, family secrets, dead or absent parents, broken relationships, emotional distress, and people struggling to reconcile the stubbornness of their ideals with the harsh nature of their realities — these are the recurrent themes in the works of Susanne Bier. Danish auteur Susanne Bier is the greatest female director working today. There, I said it. And why do I have to qualify my statement by pointing out that she is a female director — why can’t she just be one of the greatest directors working today? Well, I would argue that she is. But female directors often don’t get a fair shake. Let’s be honest. It’s a man’s world out there, especially when it comes to directing and producing films. Also, while female directors are just as capable of honing their own unique styles as their male counterparts are, they often have a harder time expanding their horizons outside of the niche they build for themselves. Hence we have Sofia Coppola seemingly lost inside the dreamy world of privileged princesses, Nicole Holofcener quite pleased sticking to her astute dissections of bi-coastal bourgeois guilt, and glass-ceiling breaker Kathryn Bigelow hellbent on directing almost every film as if it was a personal f-you to her ex-husband James Cameron and all the big boys out there who think women can’t direct from a man’s point of view. Meanwhile, male contemporaries of Bier’s like Lars Von Trier or Joe Wright create visuals just as experimental as Bier but have consistently applied their signature avant-garde styles to films across genres and outside of any niche (though one could make an argument that lately Von Trier has been trapped inside his own personal hell). Wright’s ability to put his stamp on films as seemingly disparate as Pride & Prejudice and Hanna is something no female director I know of has been able to do (which isn’t to say they can’t). All that aside, I’ve never met a Bier film I didn’t like…a lot. In many ways she does for family melodramas what Christopher Nolan has done for crime thrillers. In fact, she seems to enjoy repeatedly killing husbands (see plotlines below) with as much relish as Nolan enjoys killing wives. 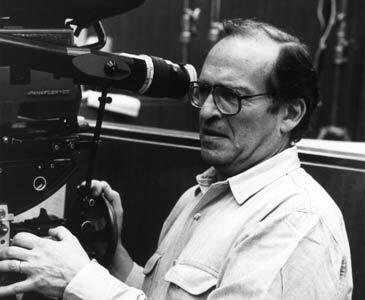 Legendary filmmaker Sidney Lumet (1924-2011), whose cinematic depiction of his hometown of New York is rivaled only by Martin Scorsese and Woody Allen in terms of lasting and prolific impressions, passed away in Manhattan on Saturday, April 9th, at age 86 from lymphoma. You can’t say the man didn’t have a long and fruitful life, as he directed films for over half a century from the 1950’s all the way through the 2000’s, with successful stints directing stage and TV as well. I had feared for a while Lumet might be near the end as the workaholic who never turned down a job had no projects in the works since 2007’s Before the Devil Knows You’re Dead, which I initially named as the second best film of that amazing year behind only There Will be Blood. As I write this, the details are sketchy, but it’s been confirmed that Oscar-winning film director Anthony Minghella has died at the age of 54. At the turn of the millennium, Minghella was the go-to man for star-studded, moderately budgeted, profit-making, literary minded prestige films. In 1996, he achieved his greatest success with his film adaptation of Michael Ondaatje’s The English Patient. The film will always hold a special place in my memory. As a junior in high school, it was the first film I saw at the Ritz Theater in Voorhees, NJ, which at the time had just opened as the premier art-house venue in the Philadelphia suburbs. Combining the epic styling of David Lean with the gritty sensuality of Bernardo Bertolucci, The English Patient left an indelible mark and won 9 Oscars including Best Picture and Best Director for Minghella. 1996 was considered the year of the independent film with the neo-classic Coen Brothers’ film Fargo and Mike Leigh’s insightful Secrets & Lies among those films competing with Minghella’s period piece. The English Patient was the crowning jewel of that independent Hollywood mindset that was rallying against big budgets and small minds. It represented the pinnacle of Miramax Studio’s prowess as the premier prestige film distributor, and it launched Minghella onto the A-list. The film so infected the pop culture upon its release, that it was ironically immortalized as the film Elaine Bennis from Seinfeld will always hate. She would’ve rather seen Sack Lunch! In 1999, Minghella delivered his adaptation of Patricia Highsmith’s novel, The Talented Mr. Ripley, which featured some of the hottest young actors and actresses of the moment (Matt Damon, Jude Law, Gwyneth Paltrow, Cate Blanchett, and then relatively unknown Philip Seymour Hoffman). The studio marketed the film as a classy, picturesque, throwback to the heyday of Hitchcock’s stylized VistaVision thrillers. Knowing nothing of the literary source material and fooled by the clever marketing and rave reviews, I went to see the film with my mother at Christmastime while home from college. About thirty minutes into the picture when we realized this was no lightweight Hitchcock homage, but instead a psychosexual thriller about a homosexual serial killer, it made for the most uncomfortable movie-going experience of my life. Again, defying our expectations, and making his audience squirm, Minghella left his mark. In 2003, Minghella tackled Charles Frazier’s ridiculously successful novel, Cold Mountain. 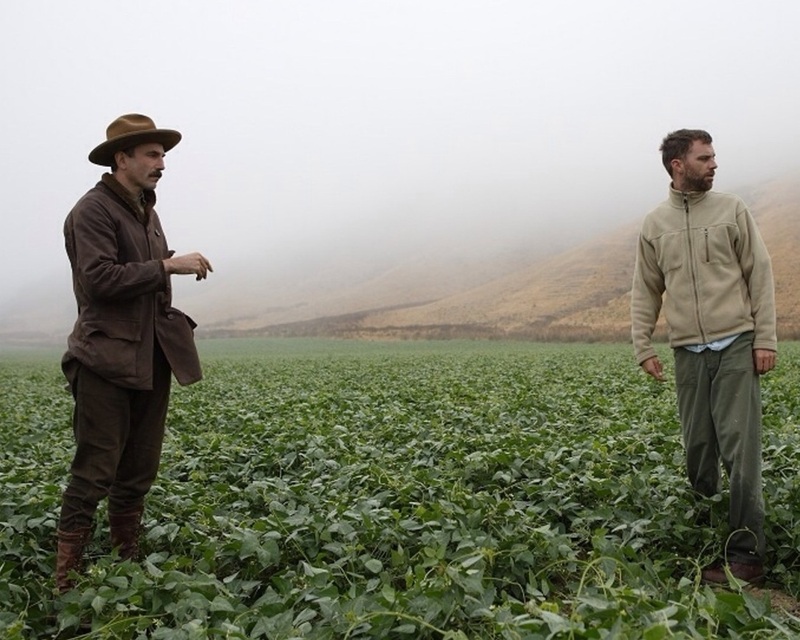 While the vapid romance at the film’s core and the often vulgar episodic odyssey of Jude Law’s character left many wishing for more restraint, the film is still memorable for some of the most well staged Civil War battle scenes ever captured on film and Renee Zelwegger’s Oscar-winning supporting turn as a fast-talking migrant farm-hand from Texas who befriends Nicole Kidman’s character. Minghella will always be remembered for this trilogy of high profile literary film adaptations, but he also excelled with smaller films. His 1990 feature debut, Truly Madly Deeply, featuring Alan Rickman as a dead musician who sticks around to comfort his grieving girlfriend, has developed a rather rabid cult following over the years. His most recent film, 2006’s Breaking and Entering, in which he reunited with muse Juliette Binoche (whom he directed to an Oscar win in The English Patient) and Jude Law, barely registered as a blip at the box office last winter, but you can be sure it will be added to my Netflix queue now. Many have dismissed Minghella’s style as overwrought and his successes overrated. I’ll always remember him as one of the directors who most influenced my movie-going habits during my formative years as a film buff. Minghella was a director of refined tastes and impeccable staging. He was quite adept at making heavy-handed techniques seem naturalistic on screen and was never afraid to challenge an audience. His style of direction has fallen out of favor recently in Hollywood. Just look at how hard the recent Atonement (a film that owes a world of debt to The English Patient and even featured a winking cameo of Minghella) had to work to eek out its respectable $50 million dollar domestic gross and gain that coveted Best Picture nomination. It will be directors like Atonement’s Joe Wright who will carry on Minghella’s legacy. Minghella in 2008 seemed poised for his next evolution as a director and was talented enough to stage a comeback. At age 54, he is gone too soon, and will be greatly missed.